The sight of someone using VR is a strange one. A quiet nest of isolation, completely locked off from the outside world, fully focused on the task at hand, whether that's a job simulator game or learning to fix an elevator. Those sceptical of VR's future success often cite this isolated one-player mode to be VR's biggest problem – something completely at odds with the social, mobile based technology that has become a staple of modern life. They argue that people won't want to cut themselves off from their social feeds or be tied to one spot to enter this world of immersive computing. But what if virtual reality's isolation was actually an advantage in the modern technical climate, which is full of all manner of distractions? How are our attention spans changing? In TV, Two Screen Watching has become a buzz phrase. It's how broadcasters describe someone who's watching a TV show while also using another device – either posting on social media or interacting with the initial content in some other way. Broadcasters have come to the conclusion that the vast majority of people's viewing habits no longer consist of simply sitting in front of the television, but of watching it while also using another device. The result of this isn't that we are getting better at multi-tasking our entertainment, but rather that we are becoming insatiable in our desire for a variety of content and interaction delivered at a rapid fire rate. A Microsoft survey of media consumption showed that the average attention span had fallen to eight seconds, down from 12 in the year 2000. This onslaught of content hitting us at all angles is arguably rewiring the way we think. Tom Chatfield is a British writer and tech philosopher who is interested in improving our relationship with technology. "We are all amateur attention economists, hoarding and bartering our moments – or watching them slip away down the cracks of a thousand YouTube clips," he writes. In short, despite all the positive influences technology is having on us, we are fighting a losing battle with its effects on our attentiveness. People with ADHD, ADD and related conditions suffered from this problem long before modern digital distractions. ADHD is a neurodevelopmental disorder that affects people's activity levels and ability to pay attention. ADD is often used to describe people who suffer predominantly from the latter. Researchers at the Department of Psychology, University of Tübingen in Germany have begun working to see how virtual reality can be used to help sufferers of ADD. "To our knowledge, until now, no NFT study in children or adults with ADHD employing a virtual reality (VR) environment as a training setting has been conducted," said principal investigator Caterina Gawrilow, PhD. The team is proposing a study into improving current therapies of ADD using VR, rather than taking a whole new approach. 'We instead move the intervention from the clinician's office into the virtual classroom, where we still use cognitive restructuring and the behavioral techniques of the classic intervention." Gawrilow and her team feel that adapting current therapeutic practices for ADD in VR could be hugely beneficial. This concept of the virtual classroom and virtual therapy also offers the unique advantage of being able to use sensory input devices in VR to capture real quantifiable data on how well the students or patients are improving and responding to the experience. When Chris Milk took to the stage in front of the United Nations in 2015 calling VR an empathy machine, he was right – but so was Roger Ebert when he made the same claim about cinema almost a decade earlier. This comparison between cinema and VR is important, as the dark, phone allergic movie theatre doesn't ask for your attention, it takes it. 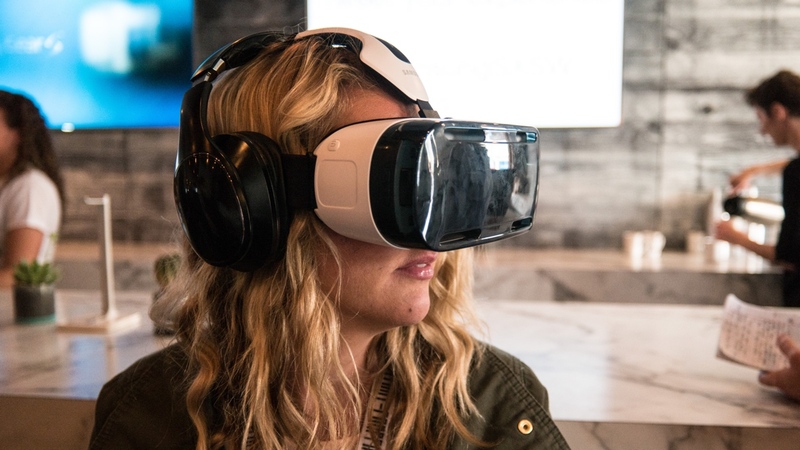 This is where virtual reality shares the most common ground with this type of entertainment. Almost all VR experiences available offer no secondary avenues to communicate with the outside world. "VR forced me to remain present in a way that few other experiences have. In a fully immersive VR setting, I have limited agency over my surroundings, and I can't split my attention between the virtual and physical worlds. As a result, this technology has become an unlikely ally in my struggle for presence. It's an almost meditative experience." Luke Johnson used virtual reality to tackle his lifelong phobia – but did it work? For a technology that is often accused of blurring the lines between reality and the virtual, this shows that is actually far from the case. The distinction is as clear as the user taking off their headset, which is something we cannot say in everyday life as we immerse ourselves in our virtual worlds while walking down the street or eating with friends. This is why we still adore 'the cinema-going experience' and why advertising in cinema is as popular as ever – no pop-up blockers currently exist at your local Odeon, you are forced to submit to the experience completely as soon as you take your seat. Virtual reality hinges on the idea of immersion. And this immersion can be a true meditative escape from our content minefield, a few minutes with no other conversation, light or sound to distract you from anything other than the experience you have in front of you. Something that has become a rarity in our current technological landscape.